It’s always nice to get an invitation to look at family pictures online. The only problem with Apple’s Shared Photo Streams is the pictures don’t show up in full resolution. And that could be a problem if you’re planning to use them to create a photo book. I never really got excited when Apple introduced iCloud Photo Streams. The concept of storing your most recent 1,000 photos in the cloud for 30 days and having them sync across all your Apple devices didn’t do that much for me. That’s because the functionality in ‘My Photo Stream’ is designed mostly for pictures taken by your Apple devices. The admittedly slick idea is to enable those photos to ‘phone home’ and seamlessly beam themselves back to your mothership. Plus the entire mass of pictures you snap end up in your photo stream. The pictures duplicate themselves to your other devices so you can easily show them off to family and friends. But the reality that you’ve got to sift through a thousand images to find the one you’re looking for seems a bit half-baked. I had lunch with a friend recently, and when we pulled out our iPhones to proudly display a few images of our three-year-old boys, I navigated to the picture I wanted in five gestures via my iTunes’ synced folder. He needed at least fifteen gestures to quickly finger down his long photo stream. My other problem with Photo Streams is while I do snap the occasional iPhone picture, when I’m really serious, I use one of my Canon cameras. Then, I download the Canon photos to my iMac and sift through them to separate the wheat from the chaff in Aperture. Only then am I interested in sharing the chosen few across my Apple devices and with others. And I’ve traditionally loaded up my iPhone by syncing my photo folders via iTunes. And yes, that takes an extra step…. While this workflow keeps my best photos close to me, nobody else gets to benefit. Sharing my best pictures in a timely manner has continued to prove itself an elusive tech challenge. Recently, I bought the nixplay Wi-Fi Cloud Frame to stream my favorite photos for my wife and son to enjoy at home. A year ago, I did the same for my father with a Pix-Star Wi-Fi frame. Of course, I’ve got a few family Flickr albums, but I often forget to update and remind people about them. The current nut I’m trying to crack is simply finding a workflow to move my ‘best’ photos over to my wife’s Macbook Pro laptop, so she can have some fun working with them as well. Her goal is to quickly create small event-driven family photo books. I totally welcome this divide-and-conquer strategy. But getting the photos over to her laptop and into iPhoto has been at an imperfect process at best. I’ve traditionally exported the photos to a thumb drive and then transferred them via sneakernet. 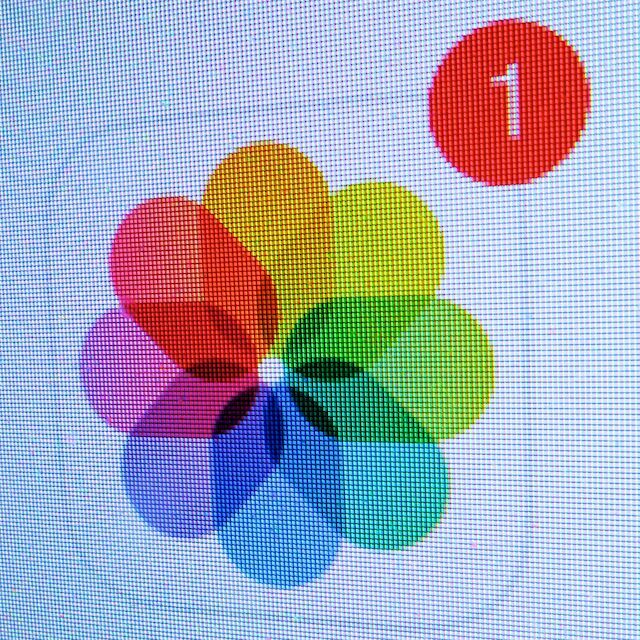 Apple introduced iCloud Photo Sharing over a year ago. These newer, ‘shared’ Photo Streams were designed for viewers beyond your eyes only. They’re kind of like the MobileMe photo galleries of the good old days. With Shared Photo Streams, you can easily create online photo albums to share with your family and friends. But for me, the more enticing factor is that Shared Photo Streams allow your invited guests to view your photos directly in iPhoto, and then easily download whatever they want! In no time at all, I created my shared family photo stream, and the invitation went out to my wife’s iCloud email address. I ran over to her laptop. To view a shared photo stream in iPhoto, your computer needs to be operating on at least the Mountain Lion OS. I’d been running Lion on my wife’s laptop since we bought it a few years back. I again attempted to connect my wife’s computer to my Shared Photo Stream. Now, the possibilities seemed endless! And all of these uploads do not count against your 5GB iCloud storage limit. Why Optimize What is Already Perfect? I scoured the web for confirmation of this unwelcome development. And indeed, I found that Apple does reduce the file sizes for iCloud-shared photos. Look, I simply want to easily move full-resolution photos over to another computer. I couldn’t locate Apple’s official position on their photo-slimming practices. But I discovered some intelligent speculation that Apple’s resizing logic has to do with the native screen resolution on Apple devices. It’s simply unnecessary to view a photo containing a higher resolution than what the screen can display. And the typical 2048 x 1536 optimized pixel resolution should also be adequate if you want to print a photo up to 5” x 7” in size. Plus, it’s a ‘helpful’ storage-saving strategy for iOS devices with limited storage capacity. So what’s there to complain about?! And do all photos get stunted in the Apple’s photo-stream universe? Those pictures still get clipped on your iOS devices, but ‘My Photo Stream’ shows up in full resolution when viewing it on your own computer. So where does all of this leave the future of my wife’s photo-book projects? The Shared Photo Stream integration with iPhoto on my wife’s laptop can’t be beat. Plus my own copy of this Shared Photo Stream automatically shows up on my iPhone, negating the need to sync these photos via iTunes. my little plan could still work. And At Home with Tech, sometimes that’s just enough to declare victory!